"Jodie Landau recruited long-time Björk collaborators Graduale Nobili as the female chorus on 'You Of All Things'. The album was produced by composer/producer Valgeir Sigursson (Björk, Feist, Bonnie ‘Prince’ Billy and more). Both Landau's voice and compositions are extraordinary: The voice raw and exposed, pure and precise, veering between choirboy cantillation, torch-singer croon, and full-throated bellow without losing his character. His compositional aesthetic manages to encompass both the unpretentious bounce of popular song and moments of ominous stasis. Comprising Landau’s original compositions as well as three other L.A.-based composers with six chamber musicians, you of all things is no ordinary debut. 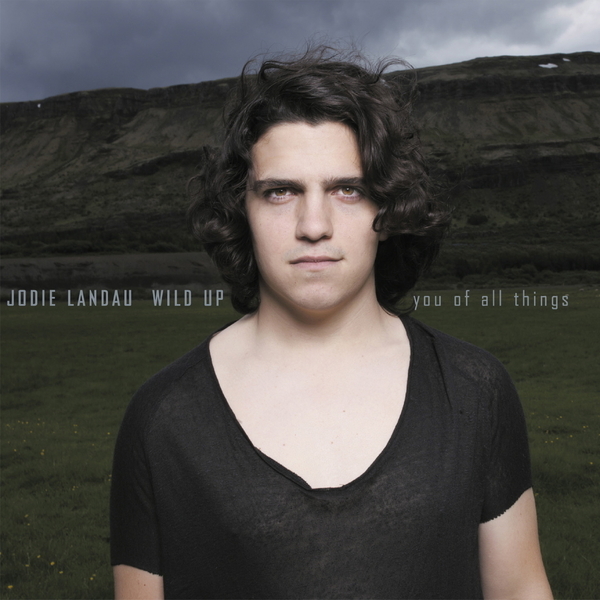 Even if, in addition to writing, playing and singing his own material, Jodie Landau had not brought on board an established producer, three other L.A.-based composers, six chamber musicians, and an entire Icelandic women's chorus, you of all things would still be a most unusual debut. For one thing, Landau's voice is a most unusual instrument. At once raw and exposed, pure and unerringly precise, his vocals are able to veer between choirboy cantillation, torch-singer croon, and full-throated bellow without losing a character that is unmistakably his own. And his compositional aesthetic—which manages to encompass both the unpretentious bounce of popular song and moments of ominous stasis, setting his own, emotionally intimate lyrics or penning purely instrumental interludes—demands that elasticity. His other instruments are a little out of the ordinary, as well: in addition to singing, Landau beats and bows on a small battery of percussion instruments. But as a vocalist, a composer, and as a percussionist, Landau insinuates himself effortlessly into every layer of music-making on the album. Rehearsed, performed, and recorded in a week and a half, the scores demand a certain spontaneity from the performers, and that spontaneity is reflected in a recording that captures the whirlwind energy of these sessions, without sacrificing clarity, quality or color of sound. The resulting album offers us a glimpse of a wild, chimerical beast, caught in action for the first time, but never quite tamed."